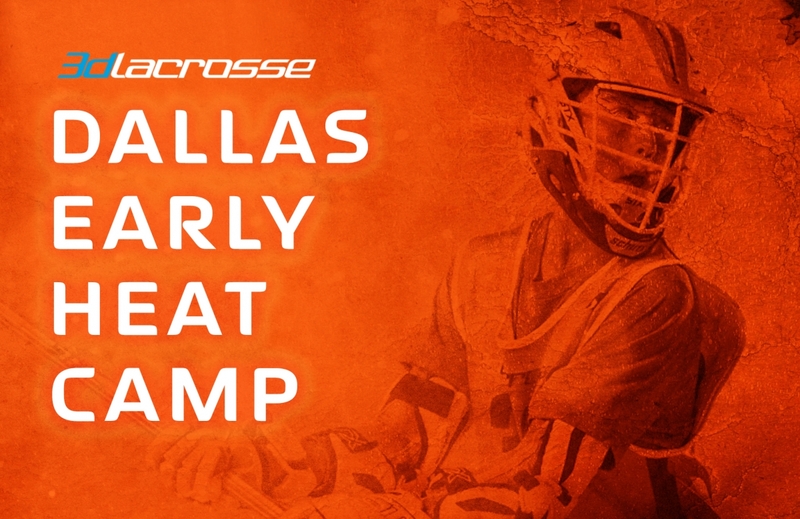 Early Heat Camp is a youth developmental lacrosse camp for rising 2nd grade to rising 7th grade players. This is a rare opportunity for youth players in the state of Texas learn from DI, DII, and DIII NCAA coaches. This camp will go in-depth with the 3d Lacrosse Methodology in addition to training techniques and drills put together by the college coaches in attendance. Our goal is to build creativity and intelligence through an incredible repertoire of drills and techniques used today in top NCAA lacrosse programs. The goal of this camp is to provide an outstanding instructional, educational, and technical training experience for all players, with the rare opportunity to receive hands-on instruction from NCAA coaches.